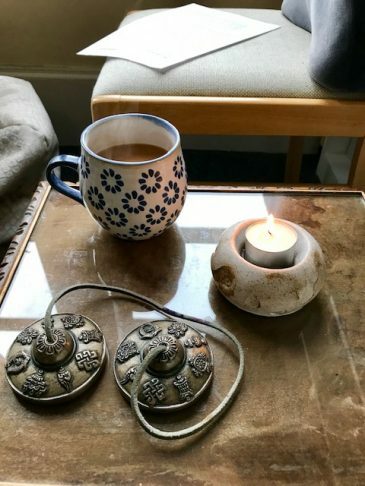 This special afternoon is a mix of practice, learning, and space and opportunity to unplug, relax and reconnect to yourself in a serene setting. There will be periods of guided sitting meditation, silence, walking meditation, body scan relaxation, chocolate mindful eating and Q&A. Anyone interested in meditation, including newcomers to mindfulness and regular practitioners. Divya is a London-based mindfulness-based yoga and meditation teacher with 20+ years’ experience of practice and study. She has trained in Eastern and Western forms of meditation and yoga, in the UK, India and US, and ultimately has found life changing impact from secular based mindfulness practice. Her aim is to make the practice of mindfulness (be it through meditation or yoga) relevant to our modern lives and accessible, while respecting and sharing the benefits and discipline that this ancient mind-body tradition can offer us today.